News from the stores: The Primrose League for Empire and Liberty! 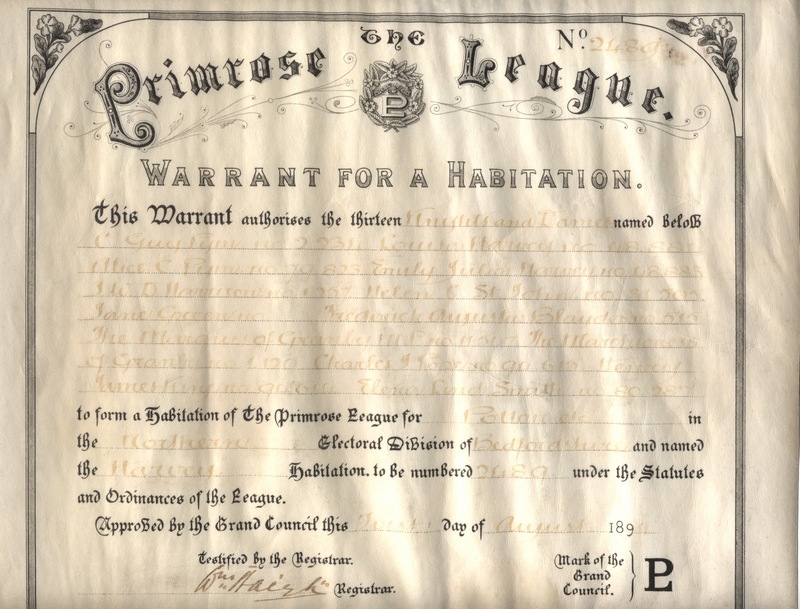 Following the Conservative Party conference last week, this object of the week looks at the history of the Primrose League. I stumbled across a group of very attractive badges in the collection during the packing project that had been presented to members of the political organisation, the Primrose League. 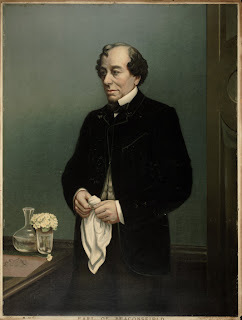 The Primrose League was set up by Lord Randolph Churchill (father of Winston Churchill) in the memory of Prime Minister Benjamin Disraeli (1804-1881) in 1883. On the 19th April every year Primrose Day was celebrated in remembrance of Disraeli, because Primroses were said to be his favourite flowers. Queen Victoria sent two wreaths of Primroses on the occasion of Disraeli’s funeral. There is also an oil painting titled Primrose Day, 1885 by Frank Bramley in the Tate Collection. ﻿The League's motto was ‘Imperium et Libertas’, Empire & Liberty, which features on many of the badges and insignia issued, as well as their PL monogram. Co-incidentally, Bedfordian Col. Frederick Burnaby was instrumental in the early establishment of the Primrose League and sat on the first Ruling Council. The first ‘Habitation’ was set up at the Strand on Primrose Day, 1884. The League was important at this time as an agent of progress within the Tory party. It marked a split from the more traditional supporters within the landed classes, to encompass a more popular appeal. The new League became much more inclusive of women and younger members than previously encouraged by the Party. Ladies Grand Council Member's Badge, this particular ribbon also contains several Special Service badges, a PL Champion badge and a badge 'For Recruiting'. The League was based on a friendly society style organisation, by subscription rather than eligibility to vote. The structure included a National Grand Council for which individuals could be elected. Each region also had its own Divisional Council and at grass-roots level individual ‘Habitations’ or lodges were set up locally for members to gather political support for the Conservative Party. From 1885, a separate branch under the title of the Ladies Grand Council was set up specifically representing female members. Typically each Habitation consisted of a Ruling Councillor, Honorary Secretary, Executive Council, and Wardens aside from the standard membership. The Wardens performed a number of tasks essential to the operation of the association including recruiting members, collecting subscriptions, circulating pamphlets, and assisting in the canvassing and registration efforts undertaken to assist political candidates. The general membership was divided into Dames for women and Knights for men, with other members being known as Associates. Habitations could also be served by Dame Presidents, who were at a similar level to the Ruling Councillor. ﻿﻿ Membership was graded one (the lowest) to five. Star medals were awarded to Knights and Dames who had made an outstanding contribution to furthering the principles of the League. Also Special Service badges were awarded to members in recognition of their efforts within the organisation. The Junior Primrose League members became known as Primrose Buds. Primrose League Ribbon with many badges attached including Juvenile Branch Secretary, 1918 Special Service badge, Delegate badges for 1921, 1923 & 1924, and General Election Badge 1922. The types of fundraising events attended included summer village fetes. 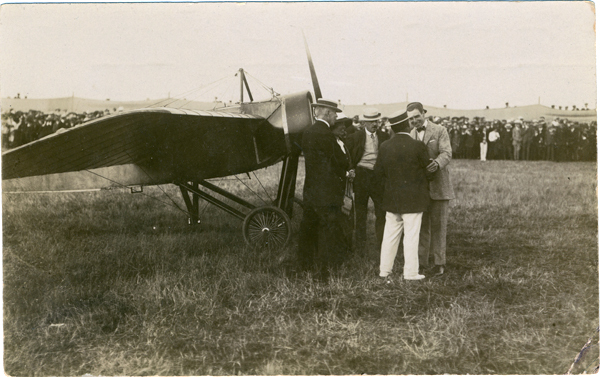 This photograph shows one such fete at Bromham in 1912 when well-known aviator Claude Graham-White a previous Bedford School Pupil visited. Unfortunately he was running nearly an hour late and a vast crowd had gathered both within the fete boundary and outside it. The crowd went mad with excitement when Claude arrived, tore down the hessian fence you can see in the background of this photograph and mobbed the plane. Claude was so alarmed at the lack of crowd control that he flew off, almost as soon as he had arrived. You can see Claude Graham-White on the right hand side shaking hands and facing the camera. You can also see the threat from the heads of the external crowd poking over the fence moments before it collapsed. Aviator Claude Graham-White (far right facing camera) at Bromham Primrose League Summer Fete, 1912. 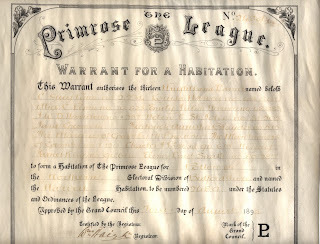 The Primrose League was incredibly successful in its early years, by 1891 having recruited over a million members. At this time the League was the largest and one of the most influential groups affiliated to any political party. After WW1 their activities and influence waned and towards the end of the 20th century the League’s role was superseded by the Conservative Central Office. The League finally came to an end quite recently, closing its membership in 2004. Thanks to the Conservative Party Archive at the Bodleian Library. Thanks to the Bedfordshire and Luton Archives and Records Service (BLARS) for the pictures relating to Primrose League Fetes.